Nokia announced that sales N8 until September. 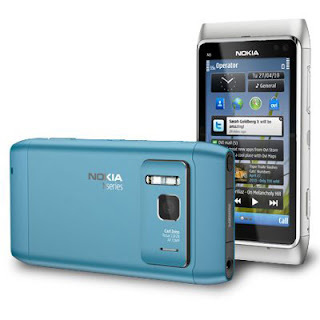 Nokia N8 is the first Nokia smart phones based on Symbian ^ 3 with various features, such as 12 megapixel camera, 3.5-inch screen capable of performing the touchscreen, and a powerful 680MHz processor. In addition, the material used aluminum casing, making lightweight N8. Meanwhile, an HDMI port and also provided support for the format DivX / XviD for video player features. Previously, as reported by GSMArena, quoted by CBN, Nokia announced that Nokia N8 will be officially released to the market on August 24 this year, however, these devices, according to Nokia needs a few touches, so the release postponed to late September. Nokia hopes, N8 able to provide competitive against their competitors and be able to lift back to Nokia which is like drowning in the middle of the smart phone market competition, although until now Nokia still leads the mobile market, but, not for the smart phone market.